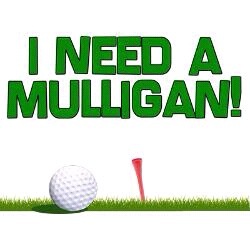 In today’s Monday Mulligan, Linda is sharing three weekly tips you and your Junior golfer can use to help attain family success off the course. As a player, you have the ultimate say as to what’s going on, you must own your club choice, your shots, and your attitude. It’s the same for us, as individuals when we own our responsibilities, there is less stress and more flow in our everyday. As parents, you lead the pack in setting this mindset for your family. In essence, you are to “own” your choices as you create and influence your family lifestyle. Your lifestyle at home creates a pattern your children will either embrace or run from when they’re older. Three tips we’re looking at today to help you help you attain family success are your weekly scheduling, weekly must do’s, and weekly fun. Weekly Scheduling – builds time management skills. Color Code your individual activities to discover potential overload. Using a wall calendar gives a vivid and REAL picture of where everyone is during the week and what they’re involved in. Google calendar offers you the option of color coding as well. The best time-balance is found in no more than two-night activities each week per child/family member. If you have five in your family, coordinate your times/days so you’re not out every night during the week as taxi service. Teaching your children at a young age to monitor their time will increase their ability to manage it better as they become more independent. Weekly (Chores) Must Do’s – establishes personal responsibility habits. Checklist Sheet – Have your family members walk through the house in different areas and list all the “must do’s” they can find that will keep your home in a peaceful and pleasant, or happy condition. Cleaning all the rooms of the house. This is a great time to remind yourselves and you children, that a family is people who have a special intimacy and loyalty to one another. It’s your place of belonging, as such… it’s not one person’s job to maintain the home/family. Everyone must contribute according to their abilities. Do you remember the term, Ohana used by the animated movie character, Stitch? It means family. I don’t know of anyone who heard him say that word that didn’t get choked up, because, being part of a family holds emotional importance. In the same way, it should not be a chore to coexist in a family, taking care of our home is something we choose to do because we belong to one another. Meal time – everyone adds a favorite meal choice to be chosen once or twice a week, depending on your budget. Once a meal is chosen it’s removed until all are chosen then you put back in or replace with new. Family time – everybody adds a favorite, “Oh, I’d like to do this, watch this, or play this!” Again, within reason and your budget. Playdates, puzzles, movies, etc. Move-it time – everyone adds a favorite 30-minute physical activity to maintain a healthy lifestyle. Move your body 30 minutes a day with fun activities, clearing the yard, walking the dog. Anything that gets you off the couch. Bike riding incorporates both family and move-it time. Downtime – maybe not in a jar so to speak, but select a time during the week or each day when you limit technology. Phones, iPads, iPods, TV is off. Creating a time of being still, reduces stress, allows for a mental regrouping, helps us to realize we don’t have to go go go all the time. Consider this family-massage… Play peaceful music throughout the home. Even thirty minutes a day sets a pattern your kids will look forward to over time. As soon as they get home from school, or right after homework. 15 minutes will work too. There you go, three lifestyle tips to help you have family success off the course. There are a number of organizations associated with golf that are commonly identified by their combination of letters or by their acronyms. Today in our Friday Flop Shot we will take a look at the WGC and what it means for your junior golfer. So Arnold started playing in The British Open, now referred to as The Open Championship and won it in 1961 and 1962. This was a time when the winner’s purse did not pay the travel expenses from the US and many American players would not enter. As with so much of his positive impact on the sport, Arnold’s entering and winning and of course his wonderful likeability and charisma helped propel The Open Championship to a higher number of US players, larger purses and its proper level of prestige and status. You and your son will enjoy watching this tournament. This is a legendary course with many of the top players in the world teeing off. And this is a rare opportunity to see some highly ranked world players who are not well-known in the US. The WGC events get a lot of high profile attention because they are in between regular tour events and majors. Big status, big money and FedEx Cup points! Set the recorder for the Golf Channel today and the Golf Channel and NBC for Saturday and Sunday. This is a special event on a renowned and legendary course. Enjoy!